According to the requirements, the company has successfully implemented "The system for managing health and safety in work environment" and guidelines of BS OHSAS 18001:2007 standard. The certificates were issued by DQS GmbH in 2009. 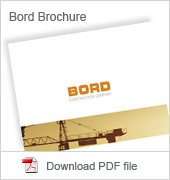 BORD Ltd. is also a member of The Bulgarian Construction Chamber. 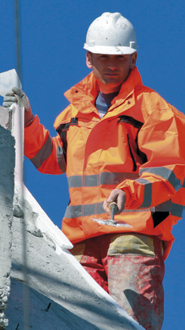 It is a professional body, which unites the efforts of the major and most reliable construction companies in the field of sustainable development and opportune application of recent EU trends.